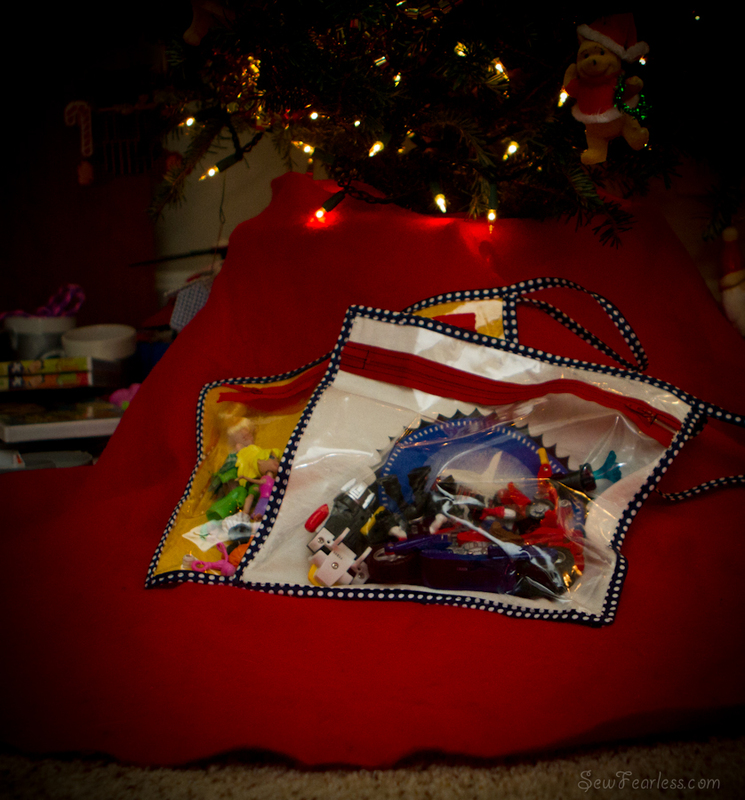 Christmas 2011 – The year small pieces invaded our home. That really is the trouble with open-ended play type toys. They have pieces – lots of them. 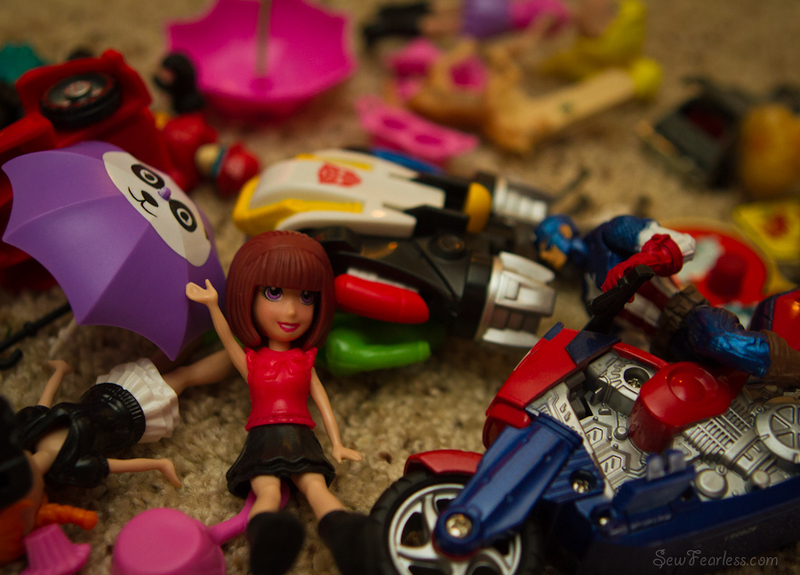 Small ones, now that my older children have graduated from toddler toys. Have you seen how small Polly Pockets shoes are? And have I mentioned Gladys is a mobile 9 month old who puts everything in her mouth? AHHHHHHH!!!!!!! I’m working to contain the crazy a bit. 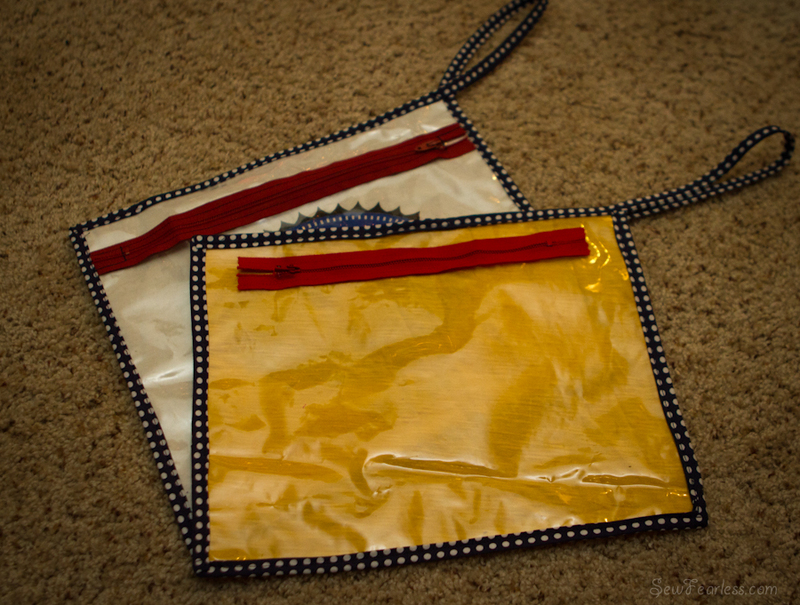 These bags are based on the tutorial by Susan of Crafterhours (guestposting at On the Laundry Line), and are made with old t-shirts, left-over bias tape, thrift-store zippers, clear vinyl, and about an hour of my time. I would like to also make more puzzle envelopes as Gladys received some lovely ones for Christmas. Look how little Duncan is! Has it really been that long?! 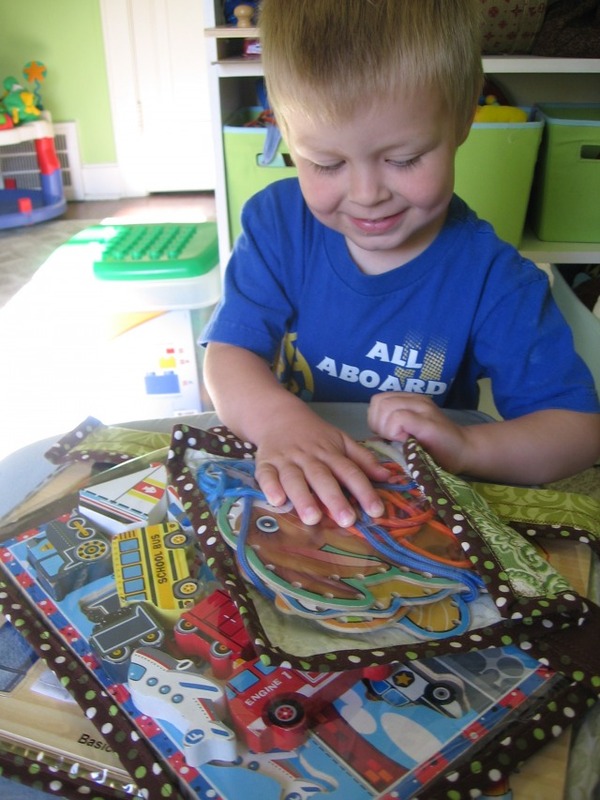 I’m not the only sew-happy mom on the web trying to reign in the chaos with some help from clear plastic vinyl. Happy Holidays Jodi! Just sending a thank you for part of my Christmas gift from Carrie. I have already used the leather needle/scissor kit, and the Kleenex holder is camping out in my diaper bag where it is so desperately needed. Your adventurous sewing spirit is inspiring, especially as I stare at a large pile of fabric waiting to be transformed into birthday gifts. I hope you and the family are enjoying a peaceful Christmas season! 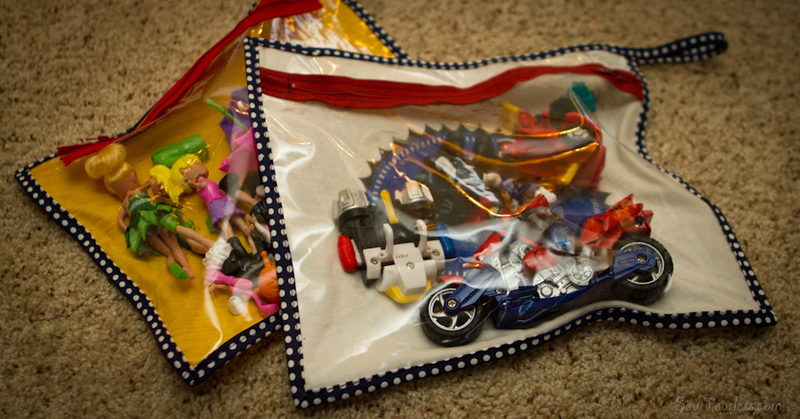 I love the toy storage bags. Do you sell them? I would be very interested in buying a TON of these clear vinyl puzzle bags! How?